We’re back with another installment of our “New Year, New Challenges” series, where we discuss the various industries our clients deal in and think about what lies ahead for them in 2019. This week, our focus is on the HVAC/R industry: Heating, Ventilation, Air Conditioning, and (sometimes) Refrigeration . At least one new HVAC trend should be familiar to you if you’ve read our blog before: changing distribution channels. As digital technology continues to evolve and the Internet further integrates into our lives, having an online presence is becoming increasingly important for B2C and B2B businesses alike. To stay offline is to fight something of a losing battle: eCommerce is simply where it’s at now. Honestly, though, I’m kind of tired of eCommerce. Everyone always talks about eCommerce. So, rather than rehash an old topic, let’s move on and take a look at some of the other trends you might have noticed if your company deals in in the HVAC (and sometimes R) space. 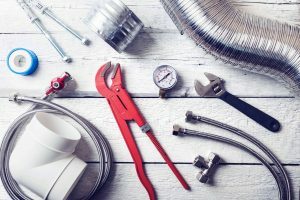 Generally speaking, the 2019 outlook is positive for HVAC. A 2019 Annual Economic Outlook Survey put out by the AHR Expo and ASHRAE Journal showed 87% of respondents anticipating growth in the coming year. This makes sense after 2018 saw near record-breaking demand for HVAC equipment and services. The economy continues to grow, and consumer confidence is high. Concern over labor supply in HVAC has been growing over the past few years. As manufacturers work to keep up innovation, their products become increasingly complex, and a higher demand for complex products will require more and more skilled labor. From 2016 to 2026, HVAC mechanic and installer jobs are expected to increase 15 percent. Add to that the fact that most Baby Boomers are by now retired or preparing to enter retirement, and you’ve got a major labor shortage on your hands. If you’re in charge of hiring for an HVAC company, you might already be noticing that the labor pool seems a bit dry and considering how to creatively troubleshoot this challenge. We’re not quite at The Jetsons, but we’re getting there. Beginning with the introduction of the smartphone over a decade ago and continuing with virtual assistants like Siri an Alexa, “smart” technology has become an essential part of our world. And we’ve begun to see it pop up elsewhere: in our homes, our cars, our offices. Home automation—or “domotics,” as the young people are calling it these days—is an increasingly prominent part of the smart technology trend. The “smart home” modernizes features of the house in the ways we’ve come to expect from our tech: convenience, safety, efficiency, and ease of use. Your heating, lights, appliances, and even home security are growing smarter, connected to you through your phone on the ever-growing Internet of Things (IoT). All this means big things for HVAC. Smart thermostats and air conditioners allow users to control temperature with an app or voice command. Even better, an automated heating or ventilation system can monitor and adjust its levels to maximize efficiency, and can even alert the user when maintenance is needed. And while smart homes are generating the most buzz right now, this isn’t just a B2C development: commercial building automation is on the rise as well. Perhaps even more prevalent a trend in HVAC are the new standards of efficiency that many companies are now striving to meet. As climate change pushes temperatures ever higher during the spring and summer months, consumers look for HVAC systems that both keep them cool and save them money on electricity. That demand is pushing HVAC companies to get creative. For example, companies have introduced heat zoning systems, which allow for different temperatures in different parts of the house. Zoning reduces energy in unused rooms and eliminates that longstanding tradition of fighting over the thermostat. Other companies have integrated sustainable sources of energy like wind or solar into their heat systems. Innovation is a good thing. It makes our lives easier and our heating bills lower. But there are always challenges. Whether you’re an HVAC manufacturer or distributor, being able to push out your fancy new gadget depends on someone down the line actually being able to use it. Will the company in charge of installing your system know what they’re doing? Will the end-user know how to operate it day-to-day? And an impending labor shortage only serves to amplify concerns. Channel enablement is an effective and rewarding strategy in combatting these issues. Educating your distributors or end-users about the proper use of your products doesn’t just help them—it helps you, too. A salesperson who doesn’t understand the product they’re selling isn’t going to be able to push it out nearly as well, and an end-user who can’t operate it isn’t likely to recommend it to someone else. Channel enablement also helps you strengthen your relationships with the other members of your channel. Want to learn more about how channel enablement can work for you? Or do you just want to talk about the future of HVAC? Book a meeting with us today, we love to chat!